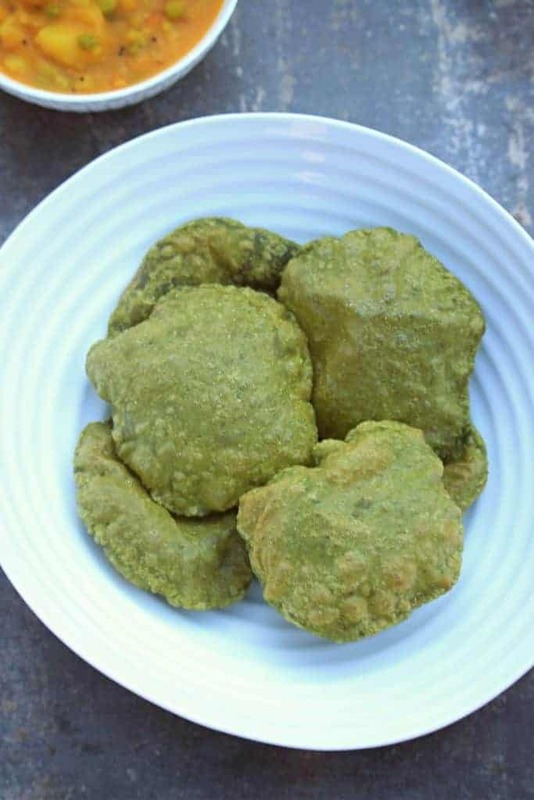 Palak Puri | Spinach Poori | Deep Fried Spinach Flatbread, is a delicious Indian flatbread that is perfect for breakfast, lunch or dinner. 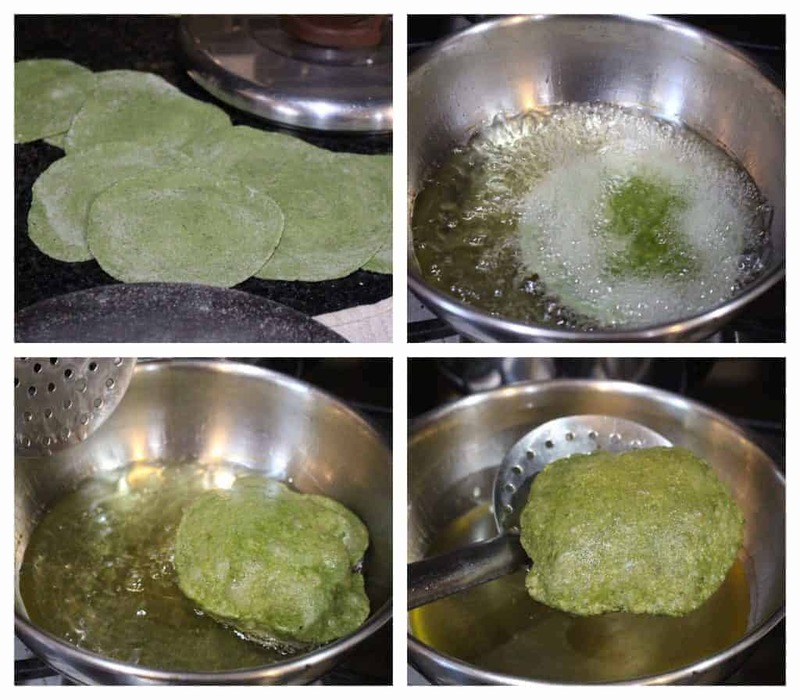 Palak Puri | Spinach Poori | Deep Fried Spinach Flatbread, is something that I have wanted to make for a ling time. 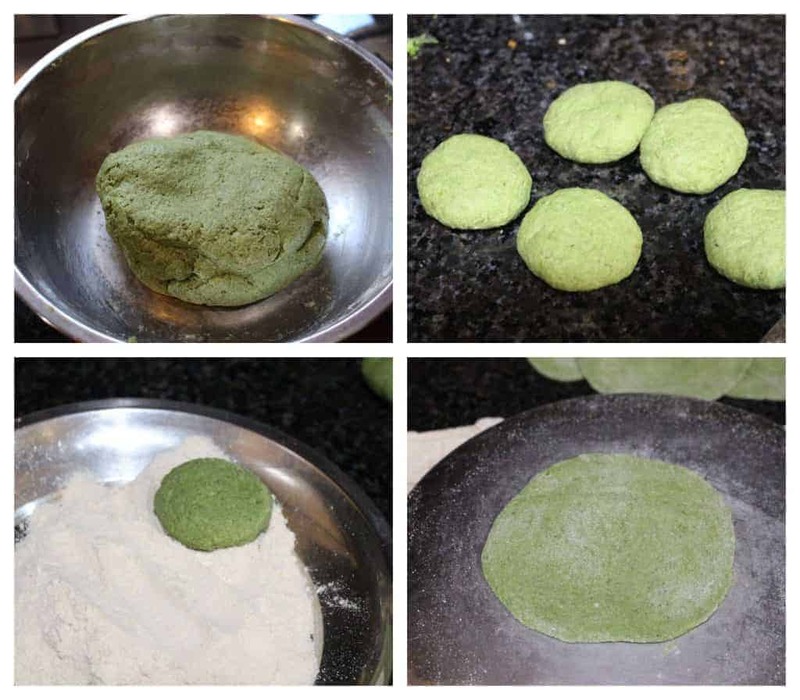 So when I chose the theme for this week on colorful dishes, I had the spinach puri in my mind to make. Little did I plan that I will end up making all three dishes in green color. So, after my Karpooravalli / Ajwain leaves chutney yesterday, today we have the Palak Puri | Spinach Poori | Deep Fried Spinach Flatbread. 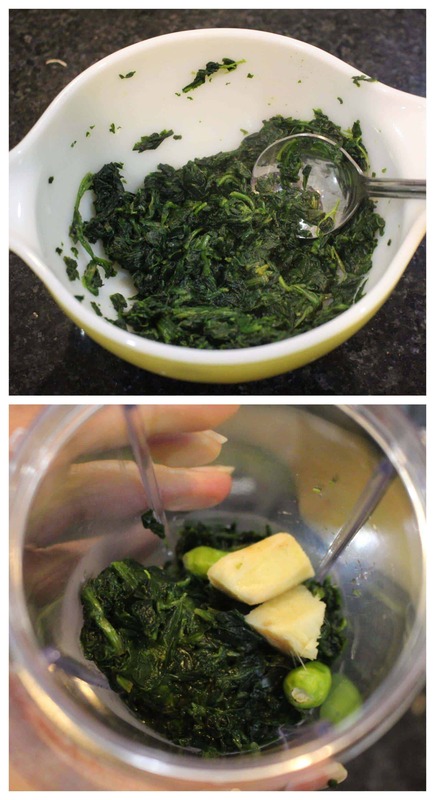 My boys love spinach in any form. 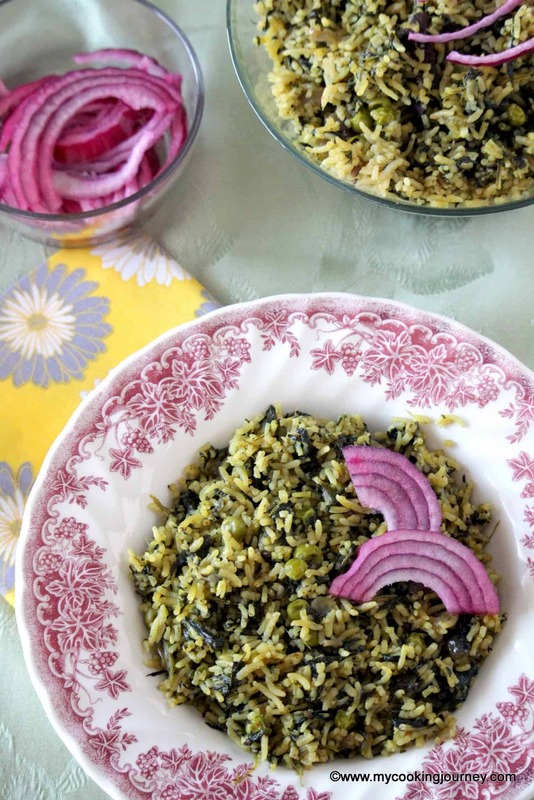 Their first favorite is the spinach rice that is often requested for school lunch box or weeknight dinner and then the Palak Paneer which is also a regular in our house. 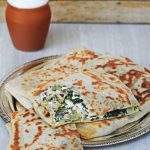 When at it, make sure to check my other Spinach Recipes. I have quite a bit of them to list individually. 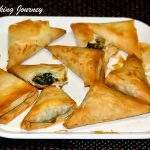 Palak puri is so simple to make and especially much easier when we have frozen spinach in hand. 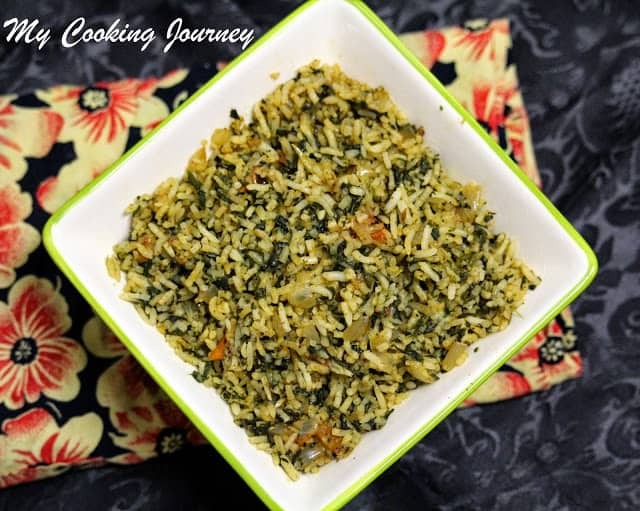 I always have couple of bags of frozen spinach to make something quick like this. 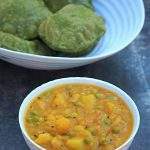 The boys are home this whole week for Thanksgiving and they enjoyed the Palak Puri | Spinach Poori | Deep Fried Spinach Flatbread with their favorite Potato Masala. I used frozen chopped spinach leaves to make the palak puri. I thawed it in the microwave for about 4 minutes and used it. 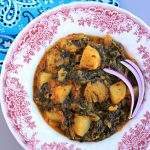 If using fresh spinach, use twice as much as frozen and saute it in about 1/2 tsp of oil until the spinach wilts and softens. 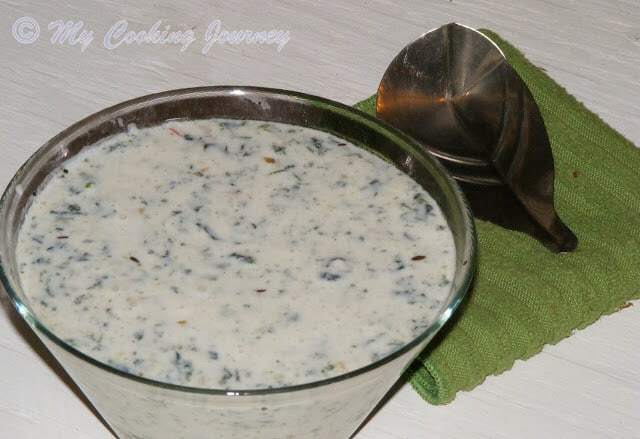 Let the spinach cool down a bit and then grind it along with ginger and green chilies into a smooth puree, adding as little water as possible. Measure whole wheat flour and add the fine semolina to it (if using). My mother taught me that adding semolina keeps the puri puffed up for a while. 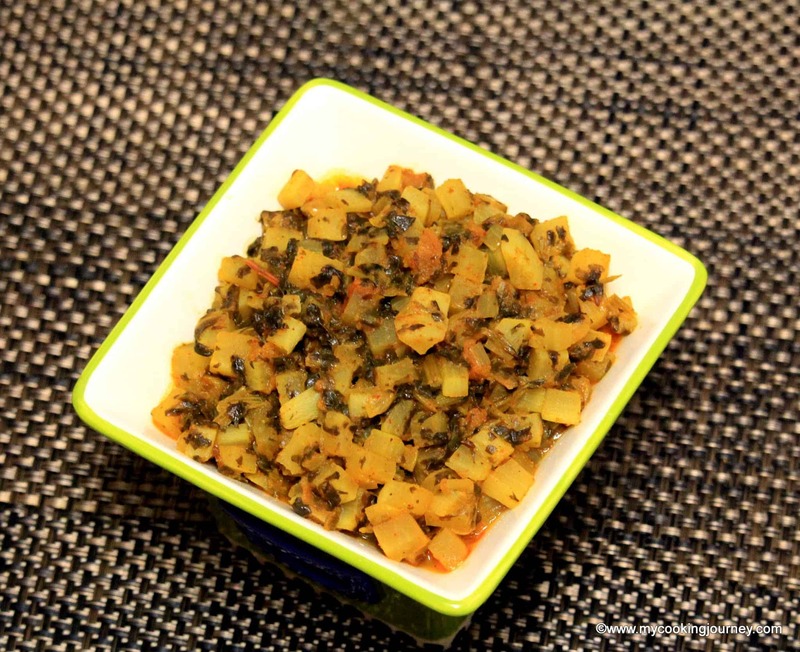 Add the salt, sugar, carom seeds and the ground spinach puree to the wheat flour. Mix well and sprinkle water to make a stiff dough. Add 1 tsp of oil to the dough and further knead for few seconds. Let the dough rest for just about 5 minutes or until the oil heats up for deep frying. Do not knead the dough in advance as it will absorb more oil while frying. Heat oil to deep fry the puri. Divide the dough into small lime size pieces and roll it out into a 3 to 4 inch circle dusting with little flour. 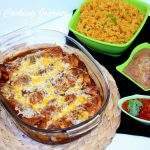 Carefully slide the rolled dough into hot oil and deep fry on both sides until it slightly starts to change color. Make sure to remove them when it just stars to change color. Drain the fried puris on to a paper towel lined tray and serve warm with any side dish of your choice. Palak poori looks so good! I do not know if it is image butpooris look small, just like mine. My husband makes fun of my pooris as I make them small. 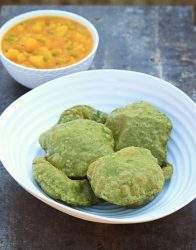 If its spinach pooris, i can sit and have them shamelessly, how catchy those pooris looks, love the addition of ginger here Sandhya. They look very vibrant and appealing as well. good one. Such cute looking pooris. 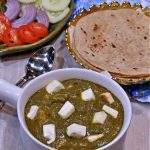 My daughter used to love this green poori when she was a child. Veggie based puris are awesome and this green color is so amazing. Perfect for the theme. Good one sandhya. 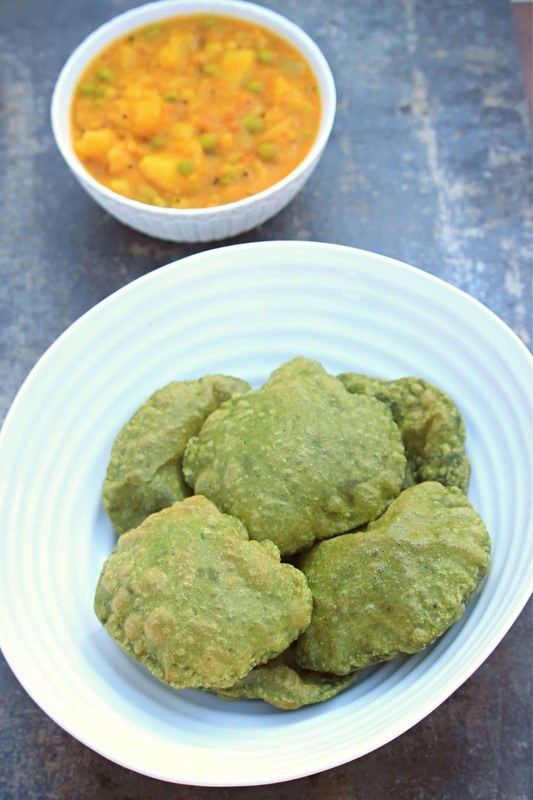 Spinach puri look colorful, puffy and delicious. I rarely make puri, but these are tempting me to give them a try some time soon.